IRELAND ALLOCATED JUST under €160 million to nine different countries in the developing world last year according to figures released this week. The government has set out the amount of money distributed to Ethiopia, Lesotho, Malawi, Mozambique, Uganda, Tanzania and Zambia in sub-Saharan Africa, and Timor Leste and Vietnam in Asia in the last two years in answer to a parliamentary question. These countries are known as programme countries who are part of a long term, strategic development partnerships with the Irish government. Mozambique received the largest portion of the €158.5 million distributed last year, €37 million, followed by Tanzania (€29.7 million) and Ethiopia (€25.8 million). The money distributed to the nine countries in question goes towards the development of certain essential services in these countries in the areas of health, education and food security. 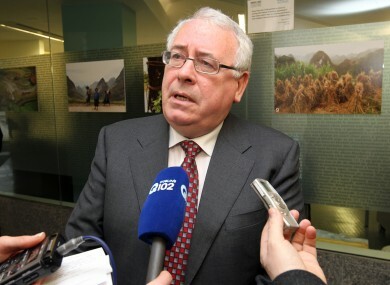 “We also work in areas such as governance, gender equality, the environment and HIV and Aids, building systems of accountability that will ensure lasting development results,” Minister of State for Trade and Development Joe Costello said in answer to Fianna Fáil’s Michael McGrath. As the table shows, last year Ireland distributed 12 per cent less than it did in 2011 to the countries, this included halving the amount given to Uganda which was at the centre of controversy when it was discovered that €4 million in Irish aid money was misappropriated. The money was subsequently repaid but Irish Aid funding to Uganda has been temporarily suspended. Also this year, Timor Leste has ceased to be a programme country. Costello also said for 2013 a total of €623 million has been allocated to Ireland’s programme for Official Development Assistance. Around €498 million of this will be managed by Irish Aid – the state agency responsible for the distribution of Irish aid funding. Email “Here's how Ireland distributed €159m among nine countries last year ”. Feedback on “Here's how Ireland distributed €159m among nine countries last year ”.